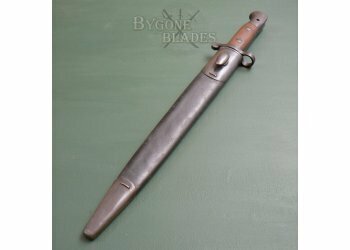 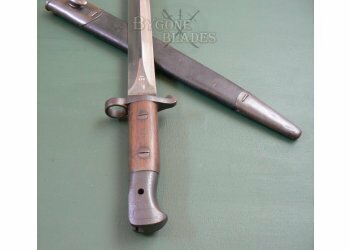 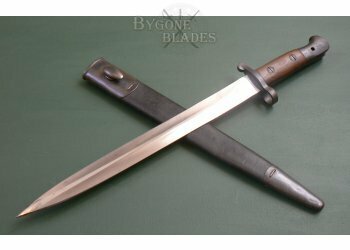 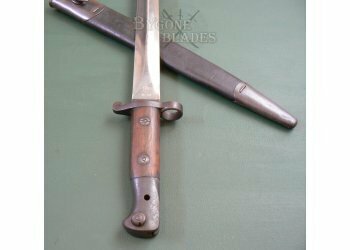 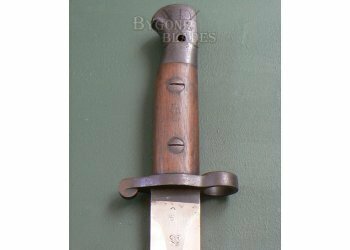 Rare British P1903 knife bayonet for the Mk1 III Short Magazine Lee Enfield (SMLE) rifle. 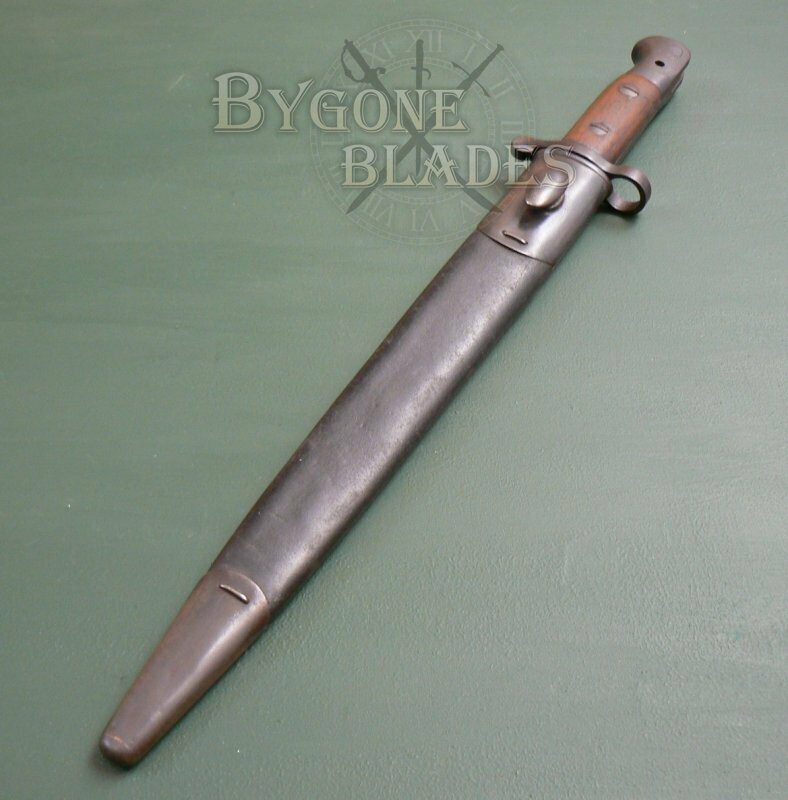 The P1903 design combined the P1888 blade and crosspiece with a new pommel design. 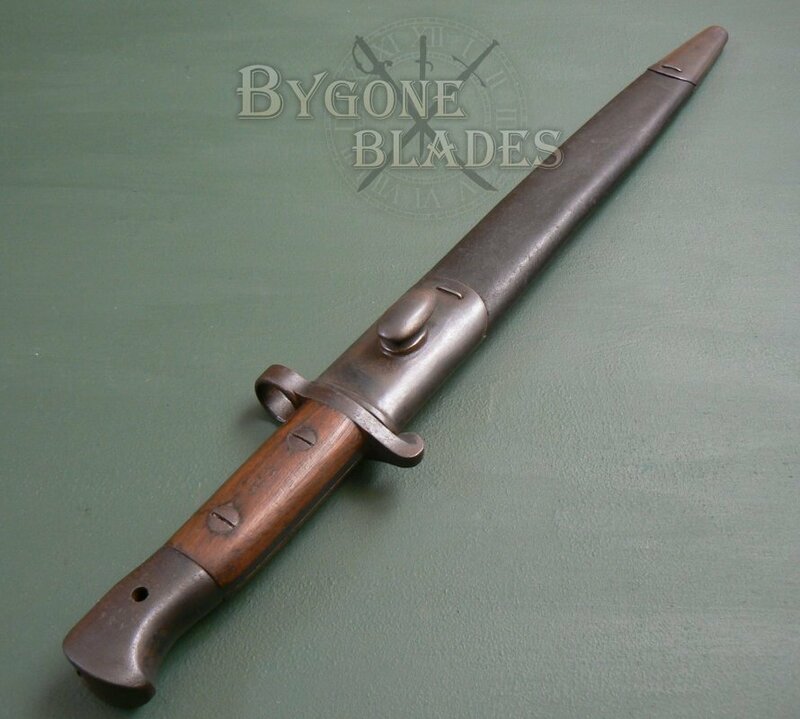 The P1903 had a short service life as the blade was considered not long enough and had less reach when combined with the shorter rifle. 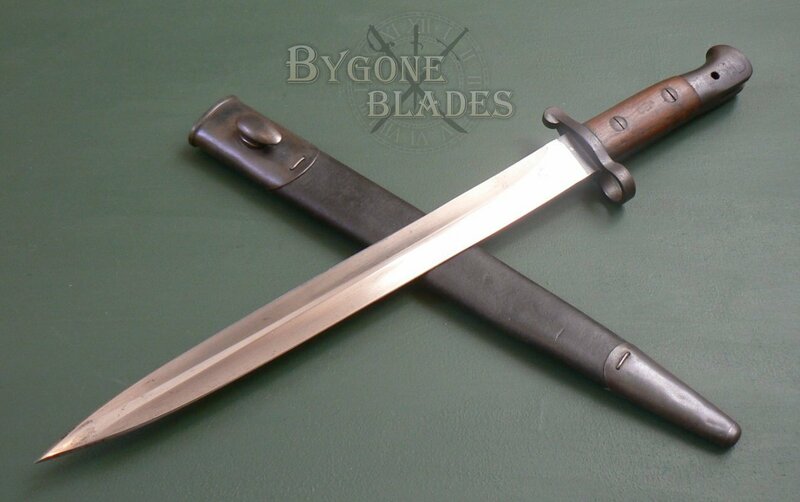 The P1903 was produced for British use from 1903–1907, at which time the P1907 was adopted. 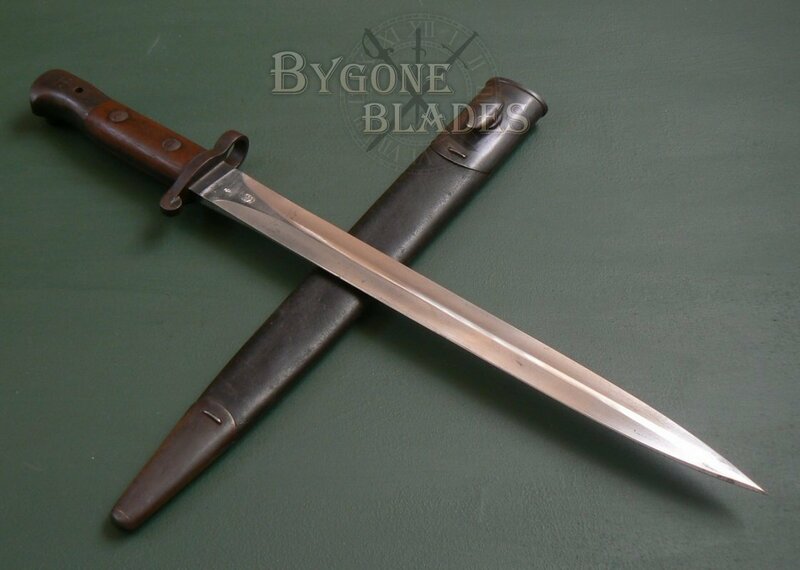 This example is in amazing, near mint condition. 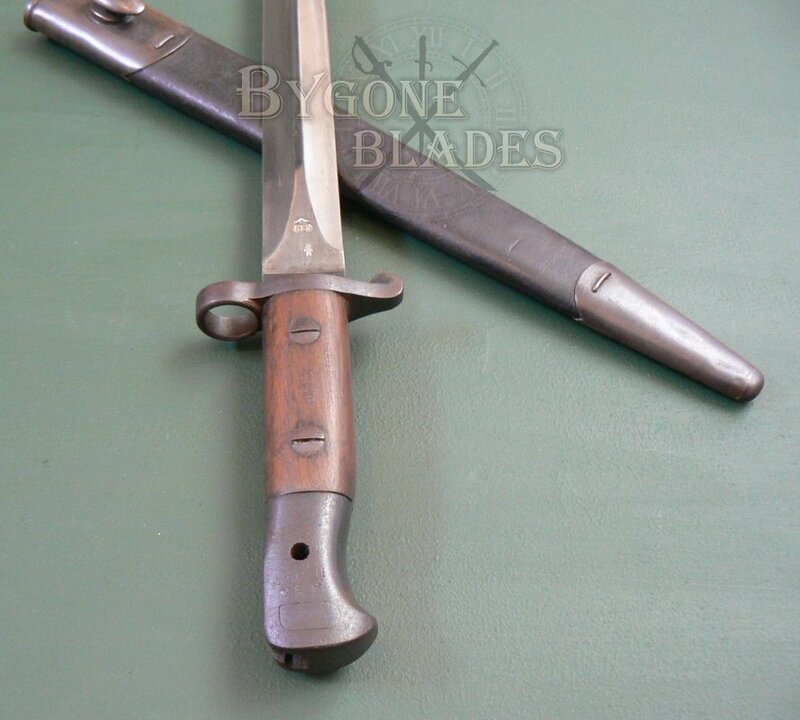 The 30.5 cm double-edged blade is bright and clean with its factory edge. 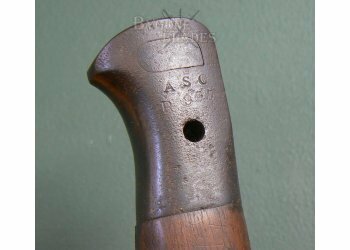 There is minimal tarnishing and the original blueing is present on the ricasso. 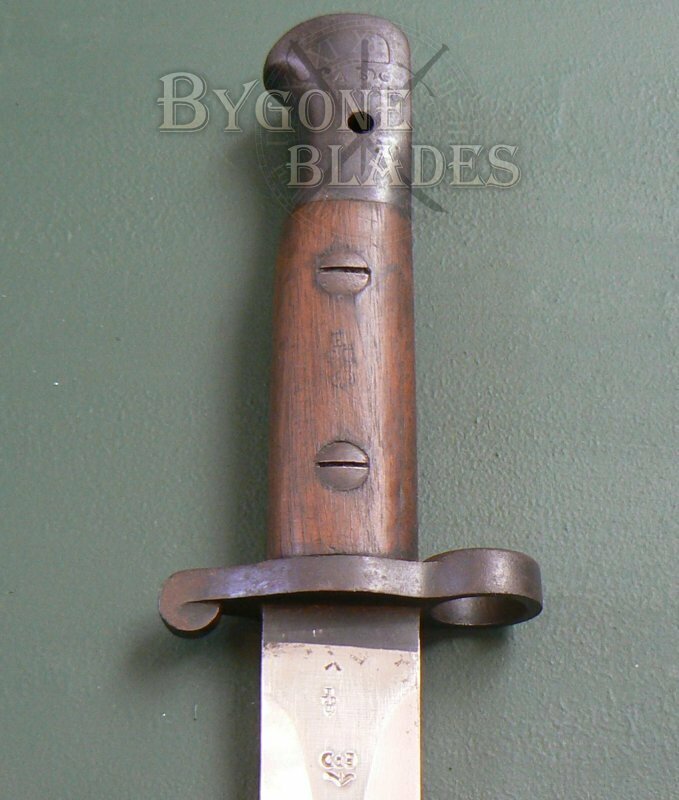 The ricasso is stamped with the War Department broad arrow, EFD maker’s mark, bend test stamp and an Enfield inspection stamp. 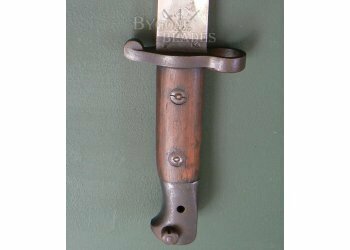 The press-stud locking mechanism works perfectly and the wooden grip scales are in excellent condition. 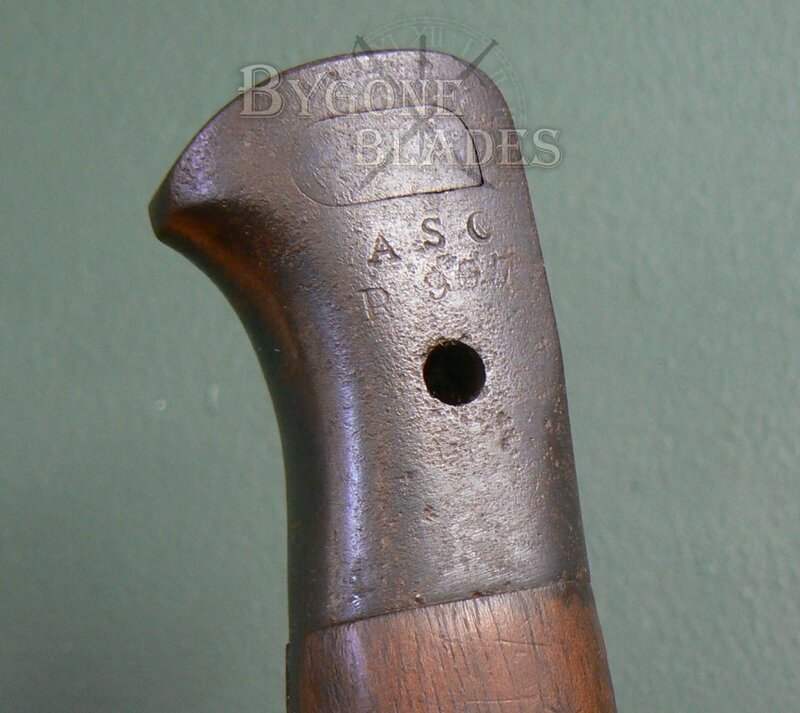 The scales bear Enfield inspection stamps. 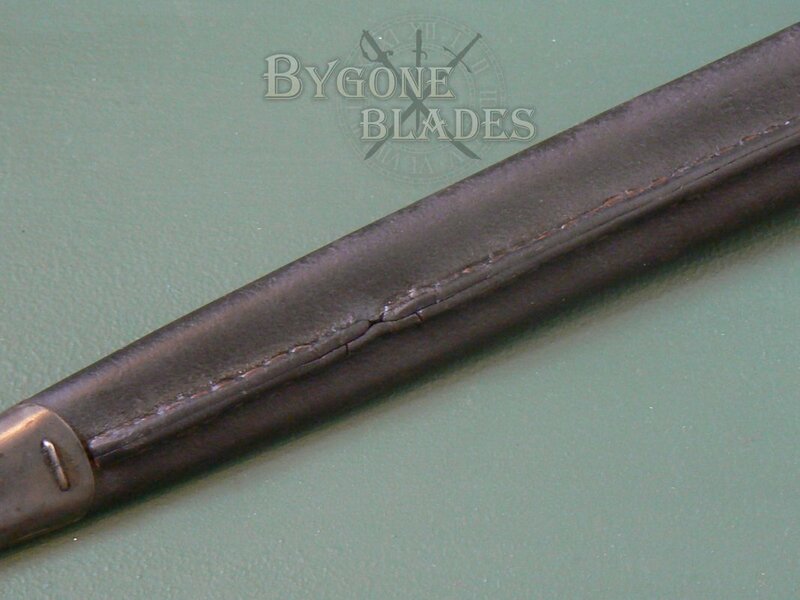 The black leather scabbard is in great condition. 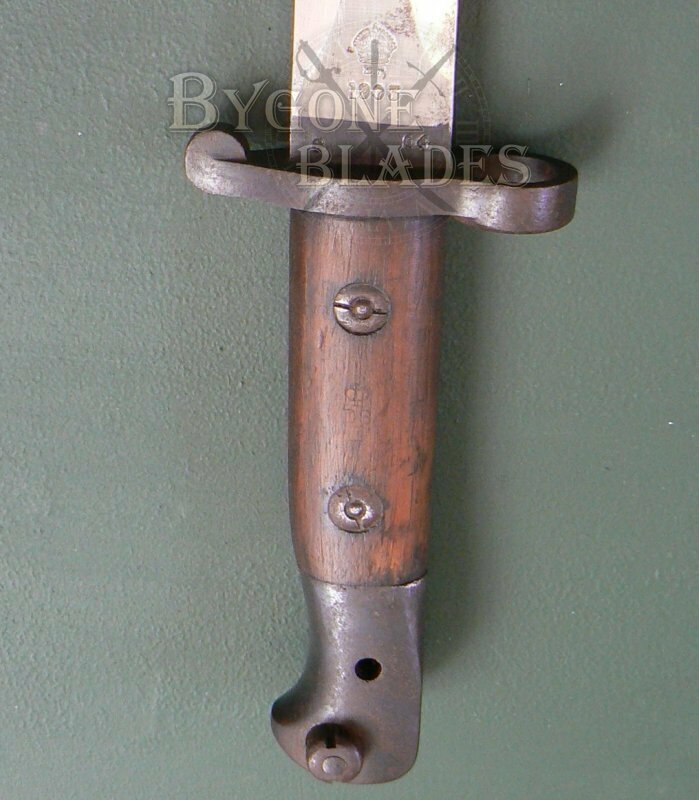 The steel furniture retains its original blued finish with minimal wear. 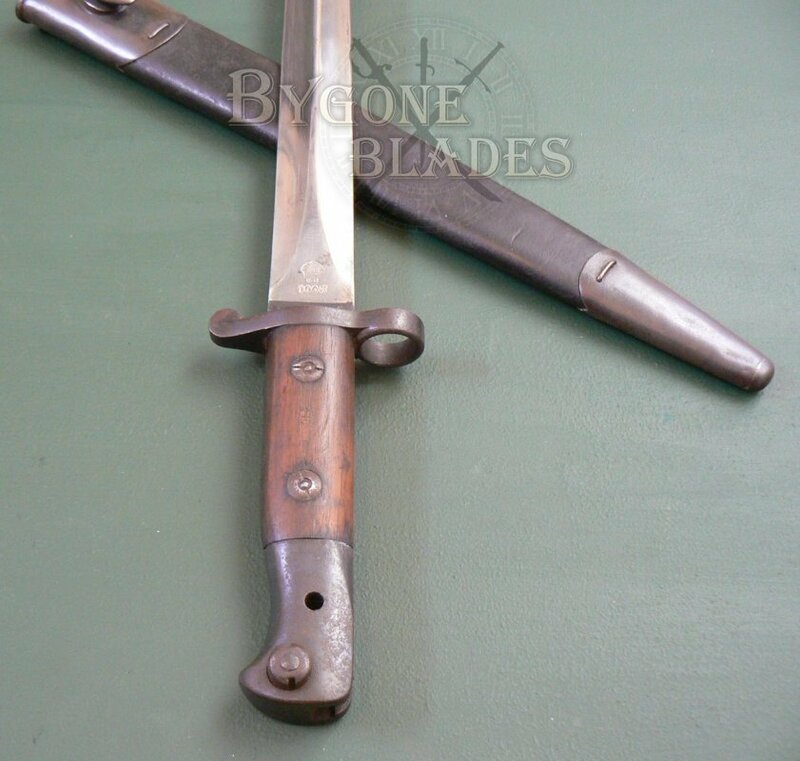 The steel furniture bears Enfield inspection stamps, top and bottom and the leather is also faintly stamped. 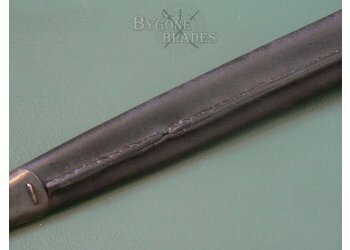 There is a small area of damage on the back of the scabbard but elsewhere the stitching is intact and in good condition. 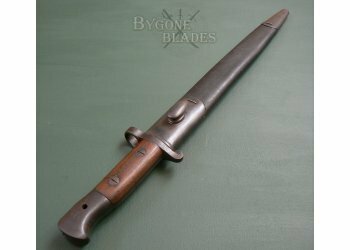 This is an exceptional example of this increasingly hard to find bayonet.